Howdy y’all! 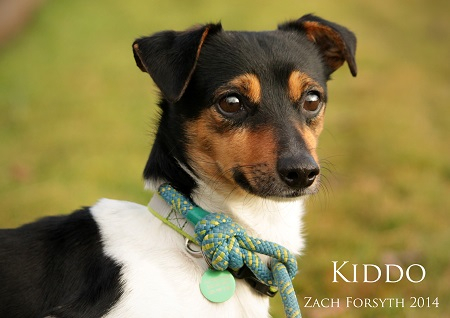 I’m Kiddo The Sundance Kid… or just Kiddo for short! When I’m not out with the wild gang kickin’ up dust or chasing after tumbleweeds, I sure do love to kick back and relax alongside a good buddy and watch that great ball of fire dip below this fine Portland skyline. Since life on the lam, I’ve grown wiser than my short three years might imply, and would be best suited to a home with folks 6 years and older. I am currently in foster care and my adoring friends at Pixie say I am a tri-colored Beagle/Chihuahua mix, 12 lbs, with a happy little bounce to my two-step. So, whaddaya say? Could I be the Sundance Kiddo to your Butch Cassidy? I am potty trained, fixed, vaccinated and microchipped, and my adoption fee is $250. Fill out an adoption application at pixieproject.org so we can schedule a meet and greet. Looking forward to makin’ your acquaintance!